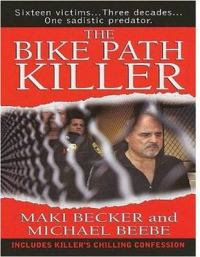 I have compiled this list of true crime books being released in June 2009.These are not by any means the entire list but the ones which I will be adding to my "to be read" list.As soon as I read these books I will do my own review on them and update this post with my review link next to the book information. It was a plan out of Arsenic and Old Lace : Befriend a homeless man, place life insurance policies in his name and then have him killed. Their scheme worked once...but then police started to notice a pattern. 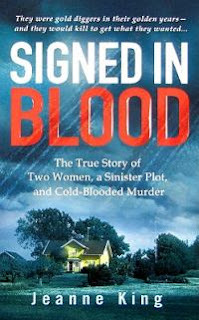 Helen and Olga were discovered, and in front of a court of law, their coldhearted pact to kill and cash in would finally be exposed. 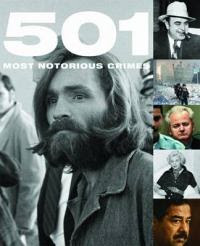 In 501 Most Notorious Crimes , the reader will find a fascinating line-up of notorious crooks, criminals, villains and thieves, from the mysterious disappearance of Lord Lucan, the assassination of JFK to the treason committed by Guy Fawkes. 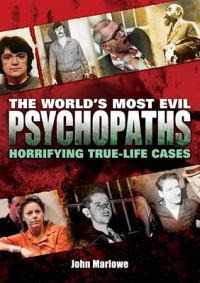 This book provides a fascinating insight into the world's most notorious crimes. 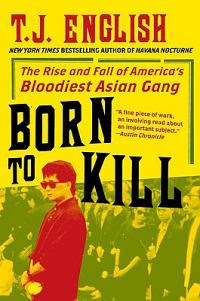 Throughout the late eighties and nineties, a gang of young Asian refugees cut a bloody swath through New York's Chinatown. They were the lost children of the Vietnam War, severed from their families by violence and cast adrift in a strange land. Banding together under the leadership of a megalomaniacal young psychopath, David Thai, they took their name from a slogan they had seen on helicopters and the helmets of U.S. soldiers: Born to Kill. For a decade their empire was unassailable, built on a foundation of fear, ruthlessness, and unimaginable brutality--until one courageous gang brother helped bring it down from the inside. 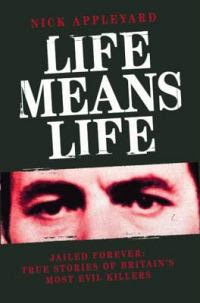 This book tells the stories of those most depraved killers whose crimes outraged society and demanded the harshest penalty available to a British court. Among a UK prison population of close to 100,000, fewer than 40 men and women have been told they will end their days in a prison cell. They range from men who crossed continents to slay youngsters, to contract killers who relished their grisly calling. Some planned their killings in a sick and sadistic manner, others killed in an unanticipated explosion of rage, lust, greed or jealously. But whatever their crime, whatever their motive, each of these beasts has one thing in common: they are the most evil people in our prison system. 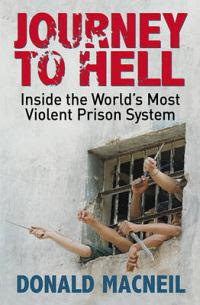 A graphic and harrowing read, this book is the first ever to bring together the case histories of every full-term lifer in Britain's jails. It offers never-before-published information about these extraordinary offenders. 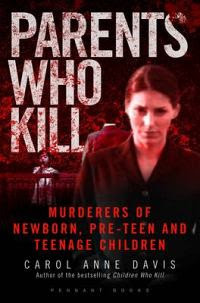 Police, lawyers and the relatives of the victims and killers all describe how the truth behind these awful crimes was pieced together and those responsible were brought to justice to face the harshest punishment. These are the 36 monsters deemed beyond redemption, who by their own hands forfeited the right to live among us, forever. These are the killers whose crimes were such that society demanded that ...LIFE MEANS LIFE! In January 2000, news headlines declared that Dr. Harold Shipman had been found guilty of murdering 15 of his patients. Before the trial, many assumed Shipman was an over-zealous doctor who went too far in providing comfort to dying patients. This was not the case. Shipman had deliberately and coldly murdered not 15, but 218 of his patients, though the real number may even be higher still. 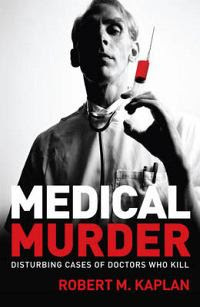 Medical Murder is a fascinating volume that explores some of the most famous cases of doctors who kill - such as Dr. Harry Bailey, a psychiatrist who dispatched more than 20 patients using the discredited Deep Sleep Therapy; Dr. Radovan Karadizic, the psychiatrist who led the genocide during the Bosnian War; and, Dr. William Palmer who poisoned his victims for insurance money. It offers an intelligent look at the chilling paradox of why these healers spent years learning how to preserve life, only to turn their focus on how to end it. 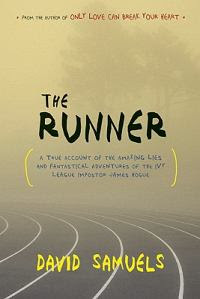 The Runner tells the remarkable true story of a drifter and petty thief named James Hogue who woke up one cold winter morning in a storage shed in Utah and decided to start his life anew. Re-imagining himself as a self-educated ranch hand named Alexi Indris-Santana who read Plato under the stars and could run a mile in under four minutes, Hogue applied and was accepted to Princeton University, where he excelled academically, made the track team, became a member of the elite Ivy Club, and dated a millionaire's daughter. Echoing both The Great Gatsby and The Talented Mr. Ripley, the story of Hogue's life before and after he went to Princeton is both an immensely affecting portrait of a dreamer and a striking indictment of the Ivy League meritocracy to which Hogue wanted so badly to belong. In the years leading to the 9/11 attacks, no single agent of al Qaeda was more successful in compromising the U.S. intelligence community than Ali Mohamed. A former Egyptian army captain, Mohamed succeeded in infiltrating the CIA in Europe, the Green Berets at Fort Bragg, and the FBI in California;even as he helped to orchestrate the al Qaeda campaign of terror that culminated in 9/11. 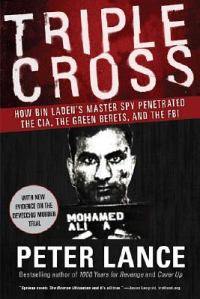 As investigative reporter Peter Lance demonstrates in this gripping narrative, senior U.S. law enforcement officials(including the now celebrated U.S. attorney Patrick Fitzgerald, who personally interviewed Mohamed long before he was brought to ground)were powerless to stop him. In the annals of espionage, few men have moved between the hunters and the hunted with as much audacity as Ali Mohamed. For almost two decades, the former Egyptian army commando succeeded in living a double life. Brazenly slipping past watch lists, he moved in and out of the U.S. with impunity, marrying an American woman, becoming a naturalized citizen, and posing as an FBI informant;all while acting as chief of security for Osama bin Laden and Ayman Al Zawahiri. Known to his fellow terrorists as Ali Amiriki, or Ali the American, Mohamed gained access to the most sensitive intelligence in the U.S. counterterrorism arsenal while brokering terror summits, planning bombing missions, and training jihadis in bomb building, assassination, the creation of sleeper cells, and other acts of espionage. 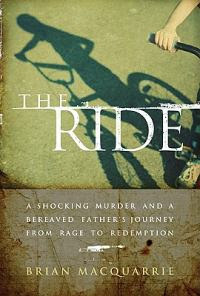 Building on the investigation he first chronicled in his previous books, 1000 Years for Revenge and Cover Up, Lance uses Mohamed to trace the untold story of al Qaeda's rise in the 1980s and 1990s. Incredibly, Mohamed, who remains in custodial witness protection today, has never been sentenced for his crimes. He exists under a veil of secrecy;a living witness to how the U.S. intelligence community was outflanked for years by the terror network. 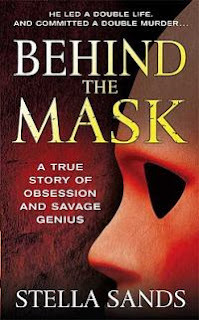 From his first appearance on the FBI's radar in 1989;training Islamic extremists on Long Island;to his presence in the database of Operation Able Danger eighteen months before 9/11, this devious triple agent was the one terrorist they had to sweep under the rug. Filled with newsmaking revelations, Triple Cross exposes the incompetence and duplicity of the FBI and Justice Department before 9/11 . . . and raises serious questions about how many more secrets the Feds may still be hiding. Crime has moved yet another step forward in its unyielding progression through society. Now it is identity theft. 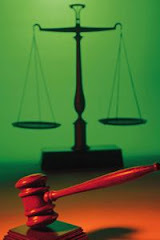 Trying to combat both legal and illegal theft continues to occupy a large portion of the average citizen's life. Identity theft or identity fraud generally involves 'stealing' another person's personal identifying information - such as Social Security number (SSN), date of birth, and mother's maiden name - and then using the information to fraudulently establish credit, run up debt, or take over existing financial accounts. This book focuses on current breaches in the wall of privacy.